Royal Challengers Bangalore finally have a victory to show for all their efforts this season. They chased down 174 in the last over against Kings XI Punjab in Mohali on Saturday night, and have quickly flown to Mumbai for their next clash. The question that faces them next is - can they win without always relying on Virat Kohli, AB de Villiers and Yuzvendra Chahal? On Saturday, Kohli and de Villiers scored half-centuries, and Chahal was the only bowler to take two wickets. In their seven matches so far, only Kohli and de Villiers have scored over 200 runs and Chahal is leading the wickets chart by a mile, having taken 11, Mohammed Siraj is next with six but a much higher economy rate of nearly 9.50 runs per over compared to Chahal's 7.07. So what happens against Mumbai Indians on Monday, or for the rest of Royal Challengers' campaign, if one of these top batsmen fails, or picks a niggle, and if Chahal has a bad day or two? Mumbai, meanwhile, have started an IPL season well for a change. 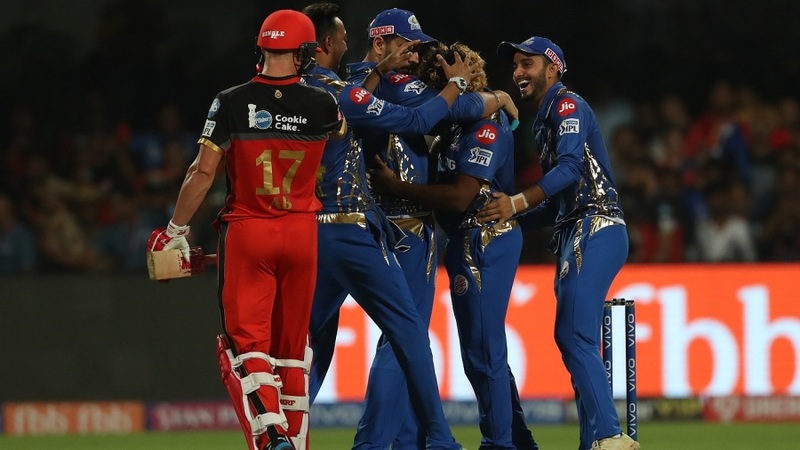 They are in the top four halfway through the tournament and shouldn't be worrying much after the loss to Rajasthan Royals on Saturday when they ended up turning into spectators during Jos Buttler's 43-ball 89 on a batting-friendly track. But their pace attack leaking too many runs will be a concern, along with the injury Alzarri Joseph picked up while fielding, and the catches they put down towards the end against Royals. With a solid squad in the dugout, they only need to tighten a few loose ends to start winning again. In what is turning out to be a controversial IPL especially when it comes to no-balls, Mumbai and Royal Challengers were the first witnesses when Malinga overstepped in their first meeting this season, the umpire didn't spot it and Kohli was left fuming at the presentation. Mumbai won by six runs as Malinga defended 17 in the last over. Chahal was the fourth bowler used by Royal Challengers on Saturday but Kohli could use him earlier on Monday because of the legspinner's record against the Mumbai openers. Chahal has dismissed Quinton de Kock thrice in 19 balls and conceded only 24 runs, across T20s. Against Rohit Sharma, Chahal has given only 29 runs off 31 balls, with one dismissal. Rohit will, as always, be itching to unleash Krunal Pandya as soon as de Villiers comes out to bat. The left-arm bowler has dismissed the in-form batsman as many as four times while conceding 41 runs in as many balls. The key, however, will also be to hold Krunal's brother back when de Villiers is batting. Hardik has been carted by de Villiers for 72 runs off only 29 balls in all T20s. Kohli has impressive records against Malinga (91 runs off 71 balls, no dismissals) and Jasprit Bumrah (112 runs off 72 balls, two dismissals) but not against Mitchell McClenaghan. Mumbai could include McClenaghan in their XI in place of Jason Behrendorff, who leaked 31 runs in three overs against Royals, because the New Zealand bowler has dismissed Kohli four times in the IPL in 40 balls while giving away only 39 runs. You can expect fireworks one way or the other if Rohit faces Umesh Yadav on Monday. He has scored 143 runs off 94 balls off Umesh, but has also been dismissed four times by the fast bowler, including the dismissal in their first clash this season over two weeks ago. De kock's form against Royal Challengers will give him further confidence after his 81 against Royals. He has scored 266 runs against them at a strike rate of 158.30 and average of 53.20, with two half-centuries and a century. Bumrah's record against Royal Challengers will bother the visitors too, especially if Kohli and de Villiers aren't batting in the death overs. He has 16 wickets in 12 innings against them with an economy rate of 7.80. Kohli has a phenomenal average of 86.50 against Mumbai, with 519 runs from 11 innings, and strike rate of 53.60. Rohit is 40 away from 8000 runs overall in T20s. Hardik is four wickets away from an overall tally off 100 in T20s.